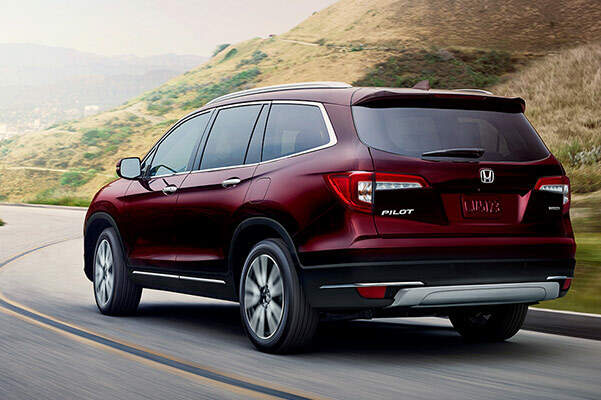 Take the whole family for a trip in the 2019 Honda Pilot, which offers comfortable Pilot configurations and new Honda Pilot features to satisfy everyone. 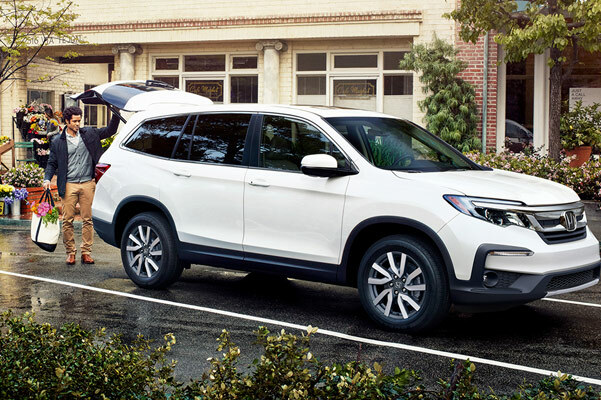 The 2019 Honda Pilot changes the SUV game forever with its incredible blend of spacious interior dimensions and modern amenities. Plus, when you buy or lease the 2019 Honda Pilot Elite AWD at our Honda dealer near Cranston, RI, your new Honda SUV will have drivetrain tech to help keep you safe during any weather situation. If you have a trailer to pull during your weekend adventures, trust that the Honda Pilot towing capacity was designed with you in mind. Save on the Pilot price today by taking advantage of our competitive Honda lease and finance specials. Browse our inventory of new 2019 Honda Pilot AWD models and take to New England roads with confidence in this new Honda SUV. Ask about Honda Pilot lease and finance incentives when you visit our Seekonk Honda showroom.